With over 22 years experience Oxleys have grown into one of Coventry’s leading suppliers of photocopiers and multifunction printers. 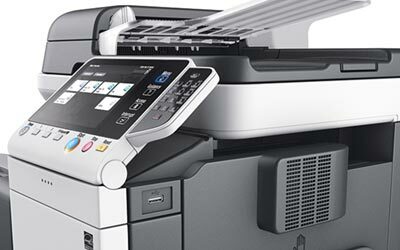 We also offer a specialist photocopier, printer repairs and maintenance service. If you’re a Coventry based business, organisation or company looking for affordable new or refurbished photocopiers, photocopier leasing, repair and maintenance – we can help. We have partnered with manufacturers Develop to supply photocopiers and multi function printers at factory direct prices. We are Develop specialists offering photocopier sales, photocopier repairs, maintenance and service contracts across the Coventry area. 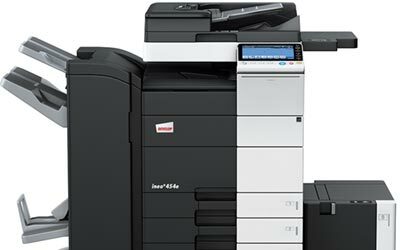 We are Develop and Konica Minolta photocopier specialists and stockists covering the Coventry area and offer a range of attractive photocopier purchase options, including photocopier leasing, hire and service contracts. By purchasing an ex-demo photocopier from Oxleys you could save you around 50% off the price of buying new. We offer a full range of used and ex-demo photocopiers that we sell as refurbished units. Every refurbished photocopier has the same warranty as a new machine. Generally we only sell refurbished machines that are 12 months old, there are some exceptions with low mileage photocopiers we get back in to stock. As with our new photocopiers, all refurbished copiers can be financed on a lease rental and are also covered by our inclusive maintenance contract. 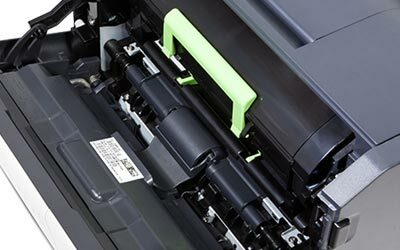 Oxley Services lease, hire and offer photocopier repair and maintenance contracts on Develop and Konica Minolta machines across the Coventry area. We don’t believe in a minimum contract period, so you can cancel at anytime and all our photocopiers are offered on a 30 day rolling contract. All businesses are different and we tailor our photocopier contracts to suit your individual printing requirements. A typical photocopier lease period is 36 months (3 years) or 60 months (5 years). Under our contract agreement all consumables, including photocopier and printer inks, parts, labour and advice are all covered. The only things we can’t include are electricity and paper! For our non contracted customers we offer consumables and printer inks at trade price. Oxleys have been involved with the photocopier industry for over 30 years, we have 5 fully trained engineers covering the Coventry area offering fast, sameday service and support. We are constantly in and around the Coventry area, there is always an engineer less than an hour away. Currently our inclusive contracts are the lowest in the industry and are fixed for a minimum of 36 months, avoiding a historic trap of dealers increasing the running costs each year. Our average contract response time for photocopier faults and repairs in Coventry is less than 4 hours with a 85% first time fix rate. Oxley Services have 5 fully trained photocopier engineers on the road carrying common photocopier parts and stock to ensure a quick first time fix. 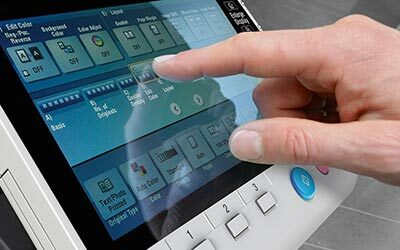 Our engineers have a vast amount of experience covering a wide range of different photocopier manufacturers including HP, Canon, Ricoh, Kyocera, Lexmark and Konica Minolta. Alongside brand new Develop and Konica Minolta photocopiers we also rent / hire out refurbished machines. All our refurbished photocopiers are no more than 2 years old with very low mileage. They are machines that we know the history of and that have been upgraded or replaced from our existing client base. All photocopier service contract customers have direct access to our friendly Service Department for photocopier telephone and online support please Call 0345 257 0779 and ask for Support. They can help with photocopier error fault codes, network support for scanning and printing problems or general advice. If you’re not based in Coventry that’s not a problem, Oxley’s cover the whole of the Midlands and local surrounding areas offering a comprehensive photocopier sales, copier lease, copier repair and copier maintenance service across Bromsgrove, Birmingham, Derby, Dudley, Leamington Spa, Redditch, Stratford Upon Avon, Telford and West Bromwich.